:: Adeeology ::: MEGADETH World Tour 2014 - Live in Jakarta ! MEGADETH World Tour 2014 - Live in Jakarta ! 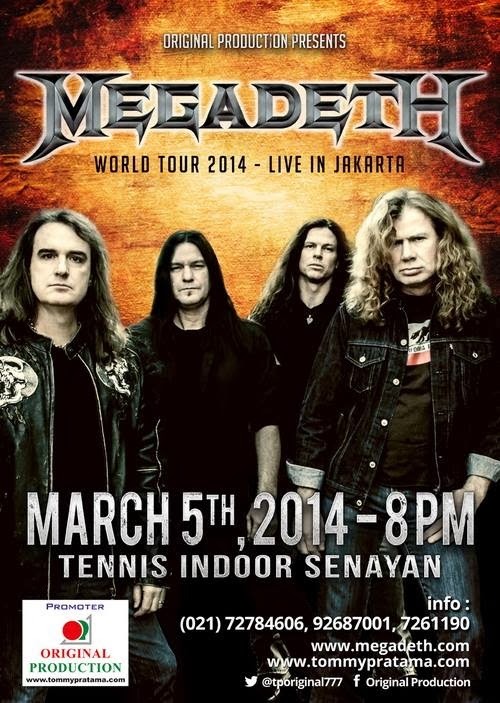 One of my favorite metal band, Megadeth will come to Jakarta on this March 5th! Can't wait to watch them! See you there ! Order write my paper job now and get a discount!